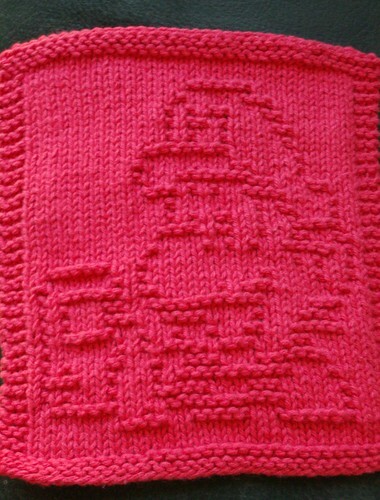 So, my brother, Matt, is always asking that I knit him Nintendo/video game things. I did make him a Mega Man helmet, but I long to knit more things for him. Every now and then I find myself searching Ravelry for that perfect video game project. And, you know what? There are lots of good ones out there! Photo from eterknitty's Flickr Photostream. This one I seriously plan to make for my brother - I think he would totally love it! 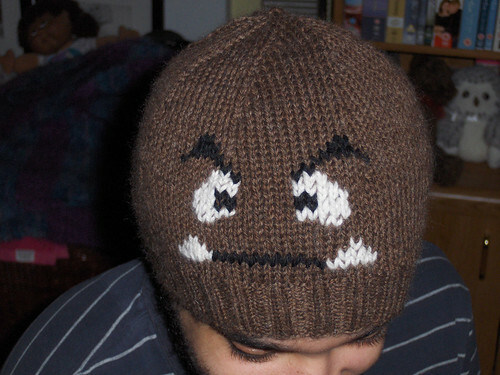 The Goomba Hat pattern is available for free here. Photo from mommypiepie's Flickr Photostream. Should my 25 year old brother ever move out of my parent's house, he certainly would be getting that for his kitchen. :) The Mario Dishcloth is available as a free Ravelry download. There are lots of good crocheted ones too! I am drawn to some of the blankets that are a bunch of granny squares soon together to make old school Mario stuff into blankets.